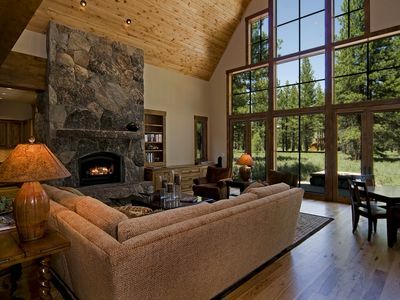 Enjoy a blissful, revitalizing stay at our large, sunny, peaceful home in the beautiful Big Springs neighborhood in Northstar resort. 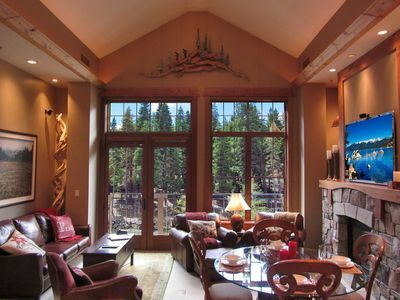 You will enjoy 3400 square feet of sunny accommodations, featuring views of Northstar Mountain from many rooms. With four bedrooms, each with its own ensuite bathroom, and ample gathering spaces, you'll have room for your family and friends and as much privacy as you seek. All rooms are tastefully decorated with designer furnishings, luxurious bed and bath linens, and original artwork. 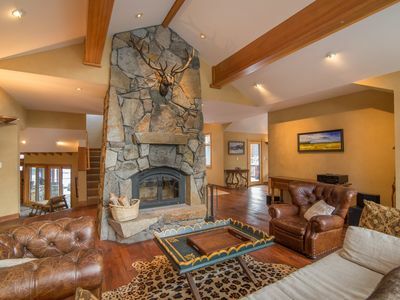 The center of our home is the living room, with floor-to-ceiling mountain views, an impressive wood burning fireplace, and welcoming leather and linen designer furnishings. In the dining room, you'll find our recently-restored mid-century South African dining table. 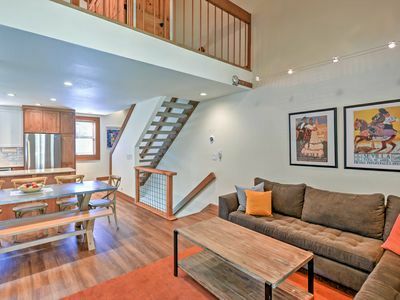 The kitchen includes top of the line appliances and cookware, and everything else that a chef might need, including a barbecue on the adjacent deck. It also includes an inviting breakfast nook area where we've managed to while many a day away. Downstairs, we have a separate family room with a large new 3DTV and several video games & DVDs. The home has two decks - a large one in the back with a massive outdoor sofa - perfect for summer sunsets, plus a smaller one that catches the morning sun. 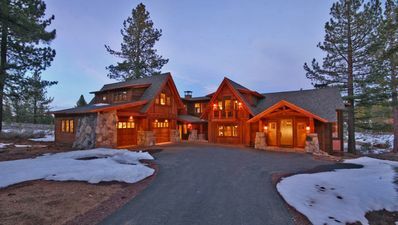 The home includes two master suites, one on the main level and the other occupying the entire upper level of the home. Each master suite features a king sized bed and ensuite bathroom with jacuzzi tub and separate shower. 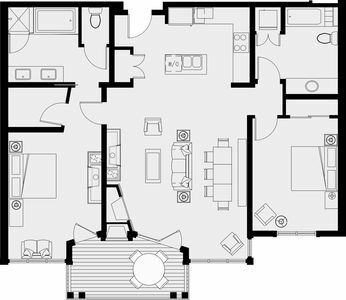 Two additional bedrooms on the lower level include queen sized beds, and ensuites. Northstar is truly a four season destination; we find it equally enjoyable being there in the spring, summer, and fall as in the winter. 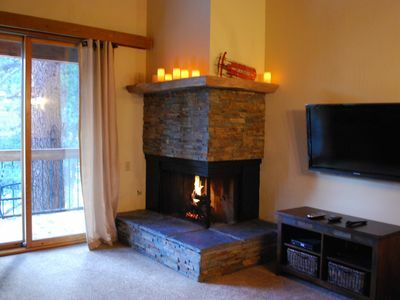 Our home will allow you to take advantage of all that Northstar has to offer. The home is located on the Northstar shuttle route. 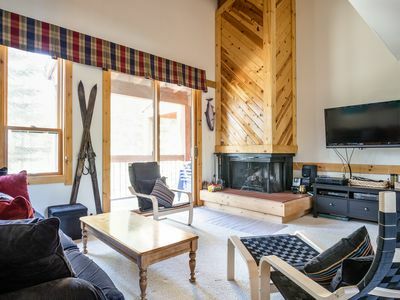 You can phone the shuttle to request a pick-up at the home, and it generally arrives within minutes to take you right to the ski lift and village. Northstar Village features a bistro, sushi restaurant, pizza restaurant, movie theater, wine bar, coffee shop, deli, pub, small grocery store, shopping, and an ice skating rink. Also from the village, you can ride the free gondola to the Ritz-Carlton for a hot chocolate, cocktail, or special meal at Manzanita. 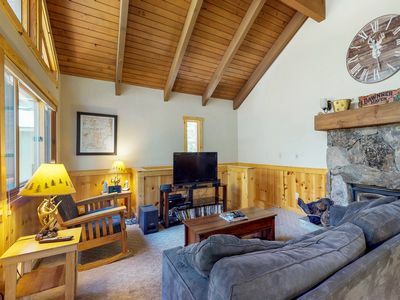 You will also have access to the Northstar Property Owners' Association facilities, including a great fitness center, lots of tennis courts, swimming pools, sauna, hot tubs, and a games room. The sunny, dry summer weather is perfect for swimming, sitting by the pool, and tennis. 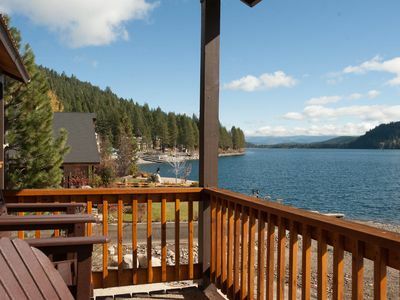 We are located about a 10 minute drive from Lake Tahoe, historic downtown Truckee, the Tahoe Rim Trail, and multiple world class golf courses. 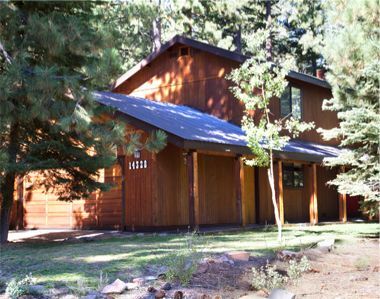 Lovely Northstar condo with a deck, mountain views, and a shared pool & hot tub! 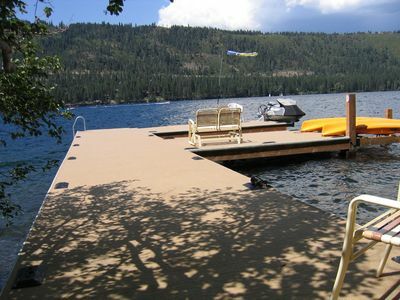 Spacious, newly renovated home w/ lake access and year-round recreation! 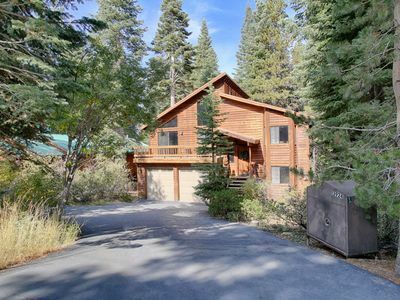 3BR Truckee Condo in Northstar - Near Village!